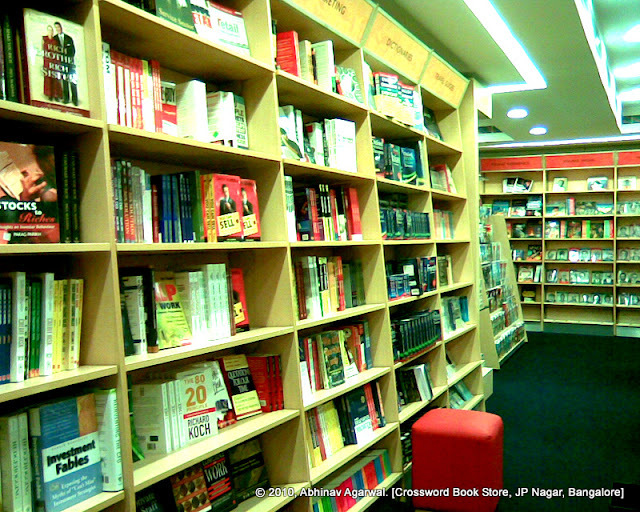 A new Crossword bookstore has opened up in JP Nagar. This is quite large, by Indian standards. 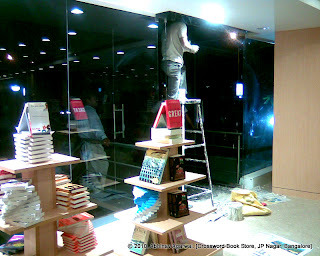 That is, it wouldn't compare with a Barnes & Noble. 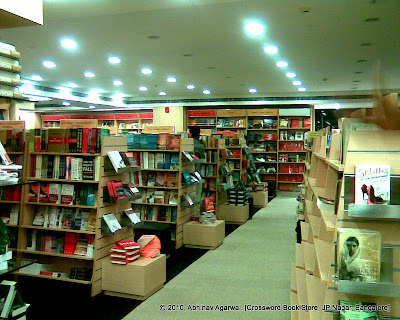 On an entire floor, it has several aisles stacked with books. A section for children. There is still some work being done, but it is a pretty picture indeed. 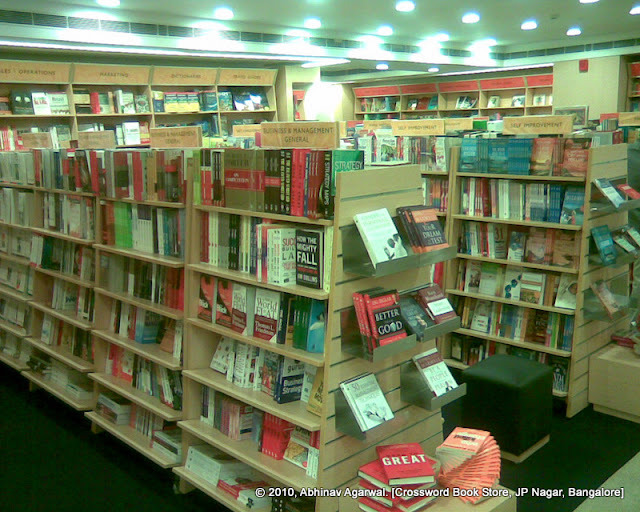 A welcome addition to the world of books, where the habit of reading is declining, and the world of physical books is being written off. How can anyone even begin to compare the grandeur of the physical book with the cold digitized artifact of a Kindle or an iPad? Huh? ?